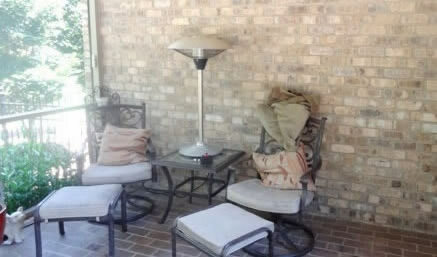 This Winston Salem, NC porch furniture had a "furniture store look" before. 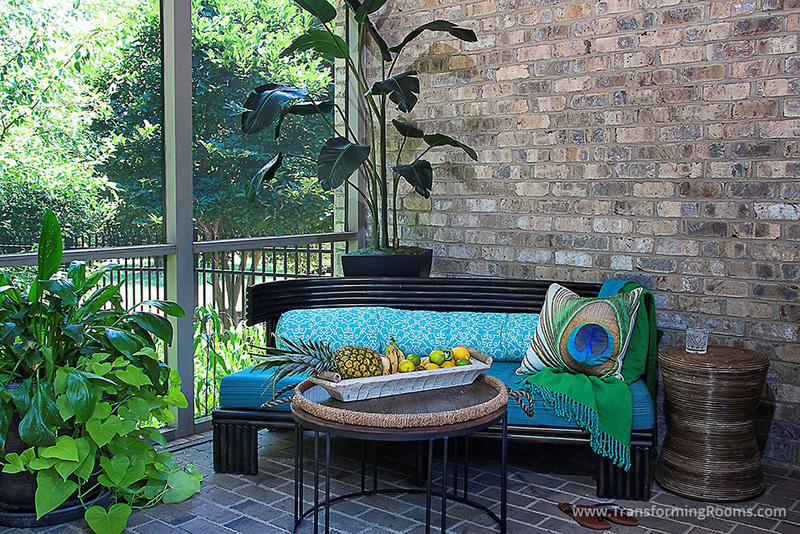 In our makeover, we brought a Cabana style outdoor sofa, per the homeowner's request for a Cuban Cabana look. Our amazing rattan sofa, cocktail table with a removable tray, designer outdoor fabrics and plants complete the look! Why have a cookie cutter furniture store look? We provide options that are not found in local furniture stores!